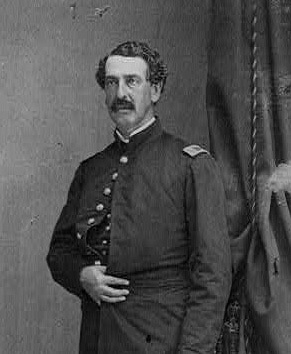 General Abner Doubleday had nothing to do with the invention of baseball, even though a hand-picked commission gave him credit for it in 1907. He did, however, have something to do with Stonewall Jackson and his horse Little Sorrel. Doubleday was a professional soldier, a West Pointer who saw action in the Mexican War and the Seminole War in Florida. His combat experience in the Civil War began just as the conflict did when, as a major and second-in-command of Federal troops at Fort Sumter, he ordered the first shot fired in defense of the doomed fort. He gave respectable if not spectacular service during the war, rising to Brigadier General and then to Major General. One of his most important actions took place on August 28, 1862. That was either the first day of a three-day Battle ofSecond Bull Run or, depending on how you look at it, a separate battle that took place the day before a two-day Second Bull Run. Late in the afternoon of the 28th Doubleday led his brigade east along the Warrenton Turnpike in Northern Virginia, expecting—as the rest of the Union army did—that they would soon face Robert E. Lee’s Army of Northern Virginia. Doubleday stopped briefly on the march near a farm operated by John Brawner and noticed a scruffy man on a scruffy horse on a hillside overlooking the turnpike. “I at once came to the conclusion that it was a rebel officer,’ Doubleday wrote later. Another Union officer disagreed, thinking that the man looked like a poor farmer. The lone rider turned and was allowed to ride away unmolested, even though he was within easy musket range of the Union soldiers. Doubleday had been right. It had been a Union officer, and quite an officer at that. Later writings from both sides identified the scruffy horse and rider as Stonewall Jackson and Little Sorrel. Jackson, as he often did, wanted so see the Union troops for himself. If the Union army had known, the course of the war—but probably not its outcome—might have changed. As it was, Jackson attacked shortly after, resulting in the bloody and inconclusive Battle of Brawner’s Farm. Second Bull Run, which took place the following two days, was definitely conclusive, resulting in a resounding Confederate victory. 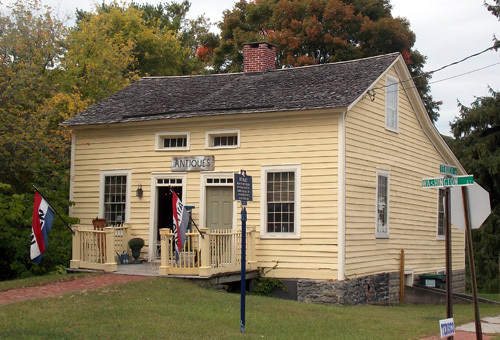 The marker at Doubleday’s birthplace in Ballston Spa, NY, refers to the baseball myth and his outstanding service at Gettysburg. The story of what he saw on the hillside at John Brawner’s farm is not mentioned.